There are 3 logon files and font in zip. Brilliant! It's a great logon! At 1280x1024, bmp 103 is oval and looks distorted and the "programs running" text is only half showing...or not showing...depending on what was intended. That's with the 1280 logon...maybe it's meant for 1280x960. Same on the other logon. Hey boss�..I just download both files to my other PC�and it�s not doing what you described.. The �programs running� should disappear when the password field drops into place�What do you think could be making it act the way you described? Any help would be great. What resolution did you try it at...1280x960 or 1280x1024? I use 1280x1024, so the small difference in resolution could do it with this type of logon. They aren't resolution independant like the splash logons are. That would be my guess. I tried it at 1280x1024�and it looked ok on my PC�.What I found with type logon is that if the wallpaper is larger than your set screen resolution the animation runs real slow and if its smaller than your set resolution then the wallpaper doubles and laps over its self. That�s why I put 3 files in the zip. I wish I knew why its doing what you describe so I could fix it�.I worked really hard on the UI. 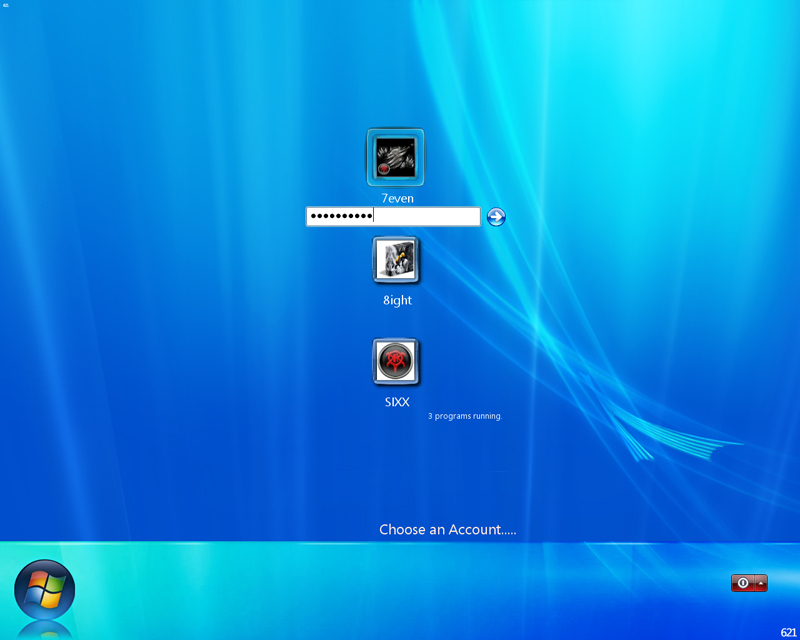 Yeah, I haven't done anything at all with this style of logon so I have no clue. Wish I could help.